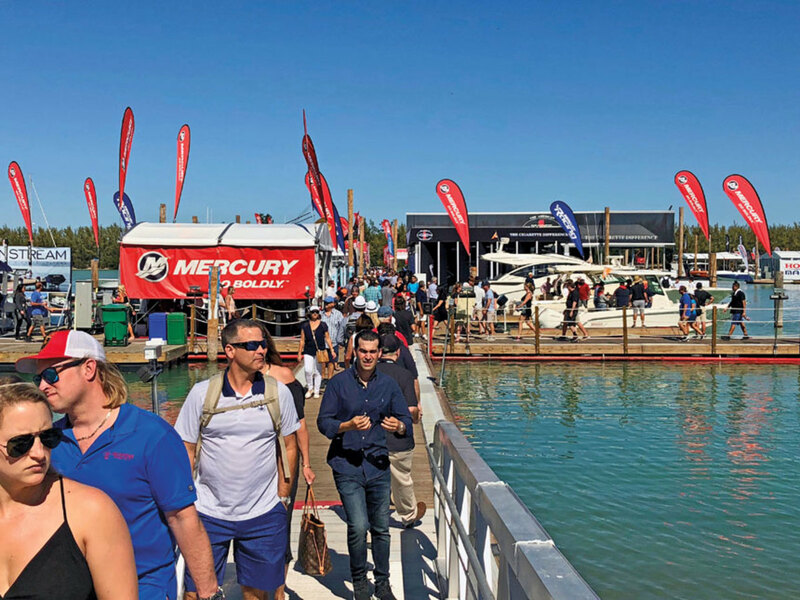 Crowds were consistently strong during the Progressive Miami International Boat Show in February. At the start of May, Americans’ faith in the economy was strong and economic indicators pointed toward rising consumer activity, suggesting that the recreational boating industry could find continued success during the spring and summer selling seasons this year. After a damp, chilly April that appeared to delay some spring boat purchases, the weather warmed as the calendar turned, raising hopes among dealers for the spring and summer that more buyers will visit them online and in their showrooms. Two measures of the public mood posted strong readings at the end of April. One was the Conference Board’s Consumer Confidence Index, which rose to 128.7, a level that was near the highest the index has reached since 2000. The gauge had slipped in March, but rebounded for a moderate gain, according to Lynn Franco, director of economic indicators at The Conference Board. Jim Coburn, managing partner of Coburn & Associates Consulting, says the index is now running, on average, 20 points higher than it did in 2016. Curtin says tax-law changes and President Trump’s trade policies generated a lot of unsolicited comments among survey respondents, many of whom cheered the former and booed the latter. The U.S. Department of Commerce reported that personal income rose by $47.8 billion, or 0.3 percent, in March. Consumer spending rose by $61.7 billion, or 0.4 percent, climbing for the first time since the end of last year. Both figures were the most recent data available. Fourth-quarter 2017 consumer spending was strong — the holiday shopping season was the best in eight years — and the March increase suggested that American families had regained their appetite for new goods and services, and had the resources to pay for them. Coburn says the economy appears healthy as the second quarter moves forward. His favored economic indicators are consumer confidence, employment and light-vehicle sales. “In economic terms and indicators, the prospects for U.S. new boat sales and the recreational marine industry are pretty good for this summer,” says Coburn, whose titles also include director and secretary-treasurer of the Michigan Boating Industries Association. The Commerce Department says growth, as measured by the nation’s gross domestic product, was the slowest in a year during the first quarter of 2018. Businesses stepped up their investments, enabling the economy to grow at a seasonally adjusted annual rate of 2.3 percent. Bloomberg says analysts expect a rebound this quarter because income-tax cuts have put more money into people’s pockets and the job market remains strong. 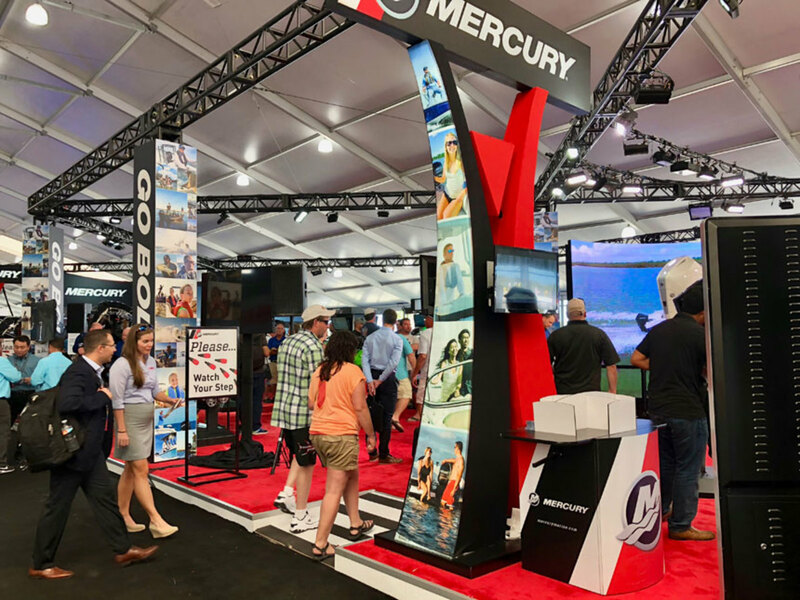 New products such as Mercury’s V-6 FourStroke outboards should help drive sales. Job growth was solid in April, though at 164,000 it represented a slower pace than economists expected. Encouragingly — because they typically pay more — the categories that showed the greatest increase were professional businesses, which added 54,000 jobs, and manufacturing, which added 24,000. The unemployment rate fell to 3.9 percent because the labor force shrank. Wage growth was again restrained, as it has been throughout the nation’s long recovery from the recession. The U.S. Department of Labor says hourly pay rose just 0.1 percent, or 4 cents, to $26.84. The news about pay is positive for those who worry about how many interest-rate increases the Federal Reserve may approve this year, but stagnant salaries can make it more difficult for families paying a mortgage to afford new big-ticket spending on items such as boats. Despite the slow pay growth, the housing market remained strong in March. New-home sales were at a four-month high, and existing-home sales rose 1.1 percent from February, even though the home-resale market was extremely tight. The Commerce Department says sales of new homes totaled 694,000 at a seasonally adjusted annual rate, 4 percent higher than the upwardly revised February rate of 667,000. The pace exceeded economists’ expectations. The government also says the median sales price of new houses sold in March was $337,200; the average sales price was $369,900. The National Association of Realtors says sales of existing homes were at a seasonally adjusted annual pace of 5.6 million in March, up from 5.54 million in February, although the trade group says low inventory and high prices kept sales below year-earlier levels. “Robust gains … in the Northeast and Midwest — a reversal from the weather-impacted declines seen in February — helped overall sales activity rise to its strongest pace since last November,” Lawrence Yun, chief economist for the NAR, stated. “The unwelcoming news is that while the healthy economy is generating sustained interest in buying a home this spring, sales are lagging year-ago levels because supply is woefully low and home prices keep climbing above what some would-be buyers can afford,” Yun adds. The NAR says the median existing-home price for all housing types in March was $250,400, up 5.8 percent from $236,600 in the same month last year. The increase marked the 73rd month in a row of year-over-year price gains. “Although the strong job market and recent tax cuts are boosting the incomes of many households, speedy price growth is squeezing overall affordability in several markets — especially those out West,” Yun says.